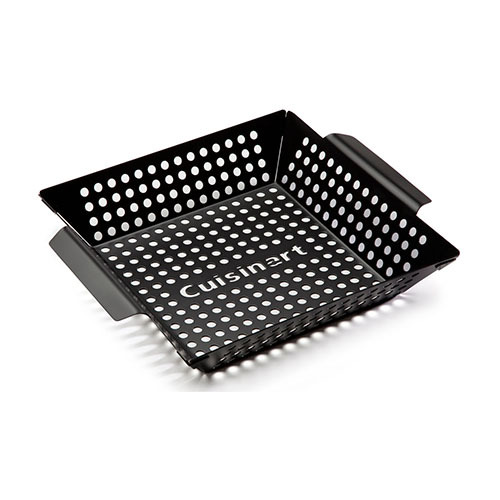 The Cuisinart CNW-328 is a non-stick grill wok which brings stir-fry right to the grill. The raised sides hold food in while perforations lets to get the real grilling experience. The non-stick surface keeps food from sticking and makes clean up simple. This grill wok is the perfect addition to any gas or charcoal grill, expanding grilling repertoire into new dishes. The Cuisinart Non Stick Grill Wok has many exciting features for users of all types. You can extend the lifetime of your Cuisinart Non Stick Grill Wok with the purchase of a FactoryOutletStore Factory Protection Plan. 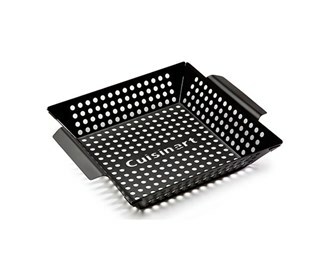 See the Cuisinart Non Stick Grill Wok gallery images above for more product views. The Cuisinart Non Stick Grill Wok is sold as a Brand New Unopened Item.